The summer is almost over but great deals are still here! Today, My Little Jules boutique launched Swanky Baby Vintage Clearance sale. 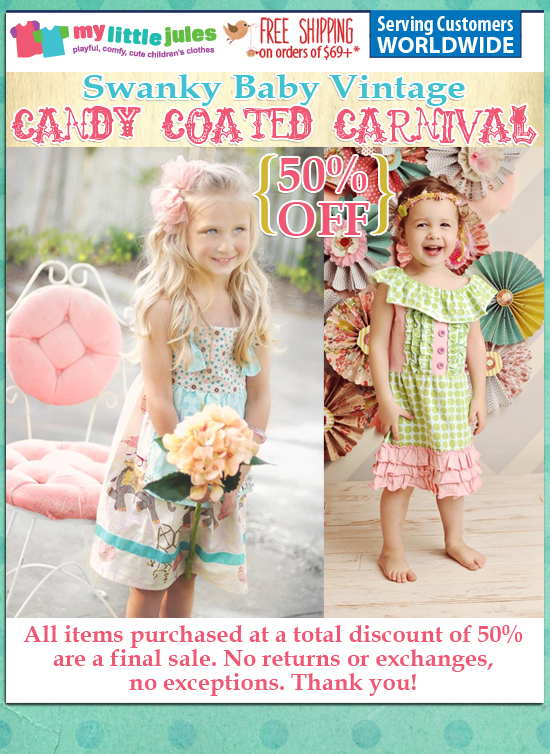 All Swanky Baby Vintage outfits from Candy Coated collection are 50% off. See the flyer below for more details. Some styles are selling fast, so shop today for best selection. Wow. They have everything I'm searching for. I should be checking for more products. Glad you have this shared here. I'm quite impressed.